You will not find him waving a metal detector on the beautiful beaches of the Florida pan handle he has called home for most of his life, but Judge Ross L. Bilbrey is a treasure hunter. He is a patient searcher that spots value in public service, education, justice, and Gator football. Even though he was born in Fort Worth, Texas, Ross Bilbrey grew up as a Floridian. He was raised along Florida’s Gulf Coast in Escambia and Santa Rosa Counties and graduated from Milton High School. The decision that his public service would not be in elective office led him to clerk at a law firm in Jacksonville. He equates the legal research he did then to a treasure hunt. He often stayed late into the night at the law library methodically searching through the Southern Reporters. He enjoyed the process and became fascinated with how the law affects people’s lives. After graduating from the University of Florida Levin College of Law in 1993, Bilbrey moved to Jacksonville to work in private practice. His practice included civil and commercial litigation with a focus in insurance defense and admiralty. The case that he still considers the most memorable of his career came during this time, and it is one that cast the young business and defense litigator against type. He was asked to represent someone suffering from a rare form of cancer and in dire need of a bone marrow transplant. The client’s health insurer denied coverage for the procedure and labeled it experimental. Bilbrey handled the case pro bono, and, without having to resort to litigation, convinced the health insurance carrier to provide benefits for the procedure. His eyes were opened to the meaningful impact a lawyer could make through advocacy outside the courtroom, and his nostalgia for that case is evident in his voice all these years later. After seven years in private prac- tice, Ross Bilbrey joined the JAG Naval Legal Office at NAS Pensacola. There, he was named Civilian of the Year for his work mobilizing reservists to active duty following the September 11, 2001 terrorist attacks. After three years in civil service, Bilbrey opened his own law firm focusing on civil litigation and family law. During this time, he pursued an- other one of the things he cherishes. He taught undergraduate courses on criminal law, criminal procedure, and evidence as an adjunct professor at the University of West Florida. He had always thought he would serve as an educator; it is a path down which he followed his parents – his mother was a school teacher and principal and his father was a psychologist. Bilbrey found his ultimate calling when Santa Rosa County was in need of a County Court Judge, but this was not a prize he sought for himself. It was only after the position was re-advertised that he yielded to the encouragement of several members of the Judicial Nominating Commission to put his name in the hat. Governor Jeb Bush appointed him to the county bench in March 2006. While he was a county judge, the First Circuit Court designated Bil- brey to hear circuit court cases in the family, probate and felony divisions. FavorHouse of Northwest Florida, a domestic violence service center, recognized him for his work in reduc- ing domestic violence in Santa Rosa County. Judge Bilbrey also chaired the Santa Rosa Canvassing Board during the 2006 and 2010 elections and the 2012 presidential preference primary. Governor Rick Scott elevated Judge contact with attorneys, parties, court sees the unmet demand for access to Bilbrey to the First Judicial Circuit Bench in July 2012. 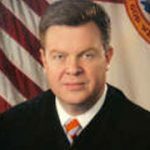 He presided over a juvenile division for less than three years before Governor Scott appointed him to the First District Court of Appeal. He took the bench on January 6, 2015. Judge Bilbrey values the time he spent as a county and circuit judge. He found rewarding the opportunity to help children that appeared in juvenile court, and he explains that the experience he gained in areas of law beyond the fields in which he previ- ously practiced prepared him to be- come an appellate judge. Judge Bilbrey is relishing the transition. He delights in devoting the time to research without the time constraints involved in county or circuit trial cases. As a trial judge, he often had to make quick rulings, especially during trial. Now, he is able to be more reflective. The pace gives him the ability to focus on issues, perform extensive research and drill down the facts of each case. It is a return to the “treasure hunt” that captivated him as a young clerk. After several months on the appellate bench, the difference Judge Bilbrey finds most surprising is the lack of interaction with other people. As a county and circuit judge, he had contact with attorneys, parties, court staff and other judges on a daily basis. Now, he spends little time in open court and exchanges ideas and opin- ions with the other judges through memoranda between chambers. What has changed since he began to practice law? Technology. Judge Bilbrey explained that he did not have a computer on his desk, there was no internet at his firm, and Westlaw and LexisNexis were prohibitively expensive. Research involved read- ing bound volumes, and he prepared letters and court filings by dictating and writing longhand. Now, Judge Bilbrey uses an iPad or his computer to read briefs and mo- tions and to write orders and opinions. He still prints briefs in cases set for oral argument so he can highlight and compare documents side-by-side, and he is quick to point out that he recycles all those printouts. Judge Bilbrey also believes that the practice of law has become more impersonal. The sheer number of attorneys practicing in the state means that there is more supply than demand for many legal services. He opines this has contributed to professionalism issues and created a “win-at-all-costs attitude” in many attorneys. The number of Florida law-civil justice and encourages attorneys to help bridge that gap. Judge Bilbrey and his family are currently transitioning to Tallahassee. Judge Bilbrey, a former president of the Pensacola Chapter of the American Inns of Court, has joined the First District Appellate Inn of Court. His wife accepted a job at The Florida Bar in the Practice Resource Institute as a practice management advisor. She previously worked as the legal administrator at Judge Bilbrey’s and other firms. Their youngest daughter just started the eighth grade in Tallahas- see, and their two oldest daughters are attending Florida State University. His job and location may have changed, but the things he treasures have not. The appellate court is another platform for service and con- sideration of the law. He is looking to return to teaching as an adjunct professor. And this new Tallahassee resident and proud father of FSU students continues to hold season tickets to Gator football. Kansas Gooden is a partner of Boyd & Jenerette practicing in the Jacksonville office. Her practice focuses primarily in civil appeals, insurance coverage and bad faith/extra-contractual liability litigation.